Register yourself and/or several guests who are future members at one time. Two complimentary tickets are reserved to congratulate our semi-finalists! Register here for a single registration and/or with members and guests. 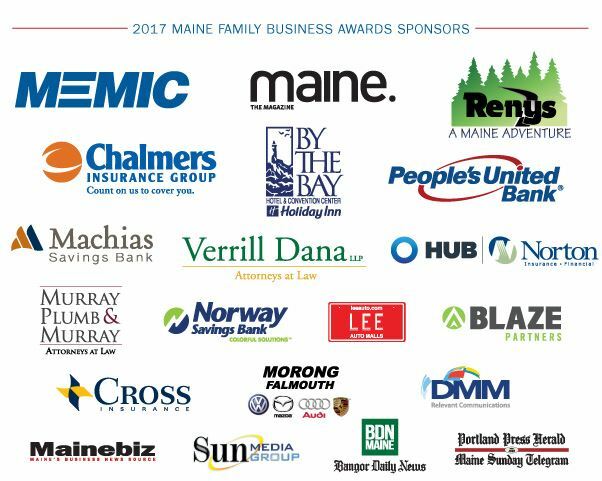 Maine firms with shiny resumes will vie for honors on May 17th when the Maine Family Business Awards’ red carpet is rolled out to celebrate the 18th anniversary of the event. Click here to see the 2016 Winners! All finalists, nominated from within or outside their firms, complete a three-step application process before their submissions go to a panel of judges. Those independent jurors select winners based upon business success, positive business and family linkages, contributions to the community and industry, family participation, work environment, communication, innovative business practices or strategies. 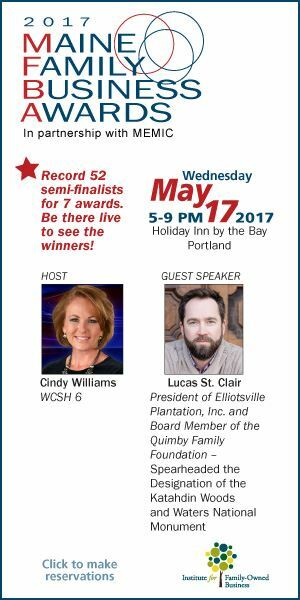 For tickets click on the "Register" button to the top left or contact the Institute office at 207.798.2667.